Photo Credit: CNS/Paul Haring - U.S. Cardinal Edwin F. O'Brien, grand master of the Knights of the Holy Sepulchre, and Cardinal Leonardo Sandri, prefect of the Congregation for Eastern Churches, arrive for a press conference at the Vatican Nov. 7. The Knights are preparing for a major meeting in Rome. 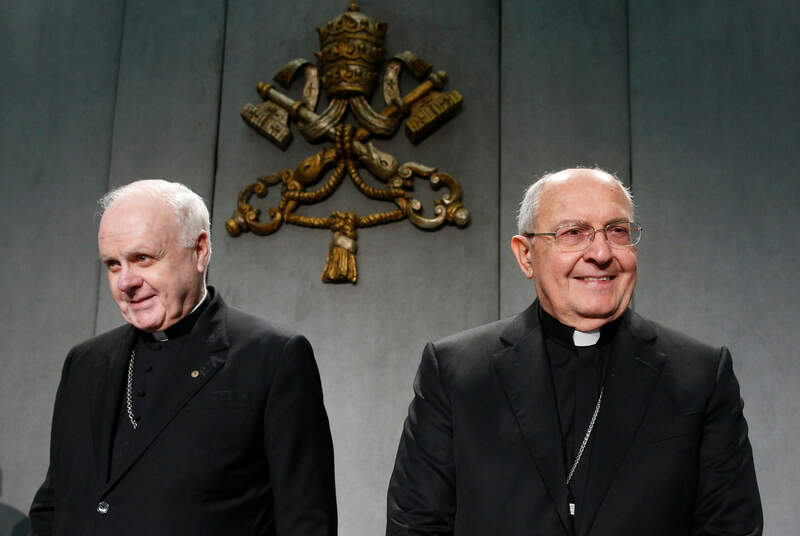 Every five years, leaders of the order from throughout the world gather for their general assembly, called a “consulta.” The meeting was scheduled for Nov. 13-16 in Rome and was expected to include an audience with Pope Francis.